There are five minutes left to enter or re-enter flight B of event #8, $400 NLH sponsored by PPC. 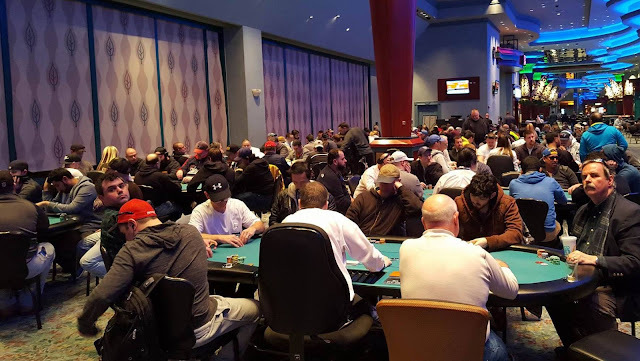 There are currently 216 entries in the second and final flight of the $400 NLH PPC Multi-Flight event. Players are in the midst of level 6, and those wishing to enter or re-enter have until the beginning of level 9 to do so. 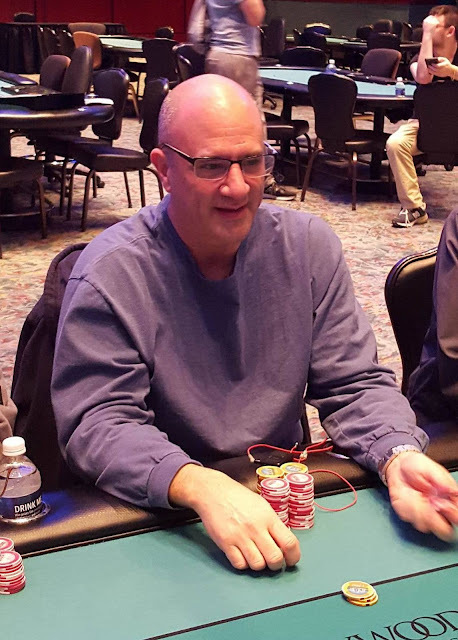 52 total players from the 271 entries in Flight A are advancing to Day 2. Tonight's Flight B will conclude around 1:45am. The players from both flights will combine to play Day 2 tomorrow at noon EST. 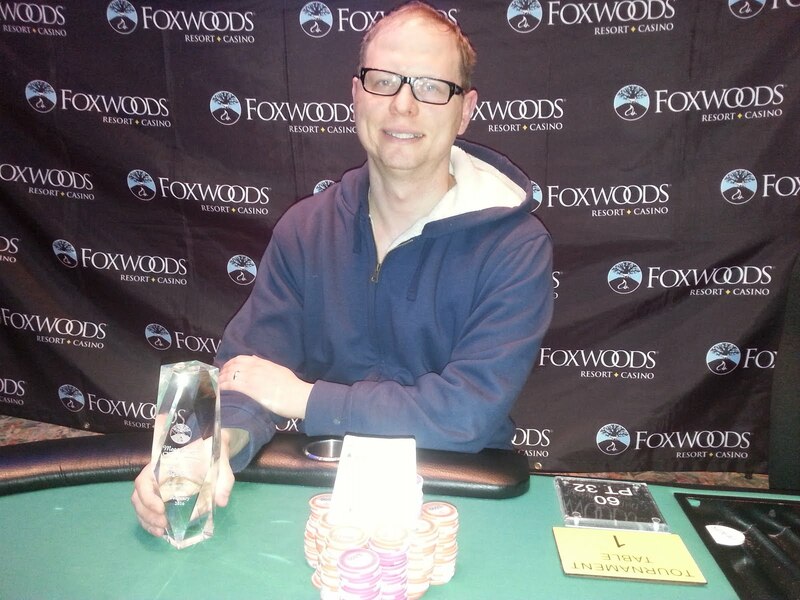 Chris Fox Wallace is making his Foxwoods debut today for the PPC $400 Multi-Flight event. Check out Fox's recent blog post about his experience so far at Foxwoods. Flight A is is nearing their last break of the day, and at present there are 117 players of the original 271 remaining. Flight B will begin in the next few minutes (at 5:00pm Eastern time). This will be the second and final flight offered before Day 2 begins at noon Eastern time tomorrow (Thurs. Feb. 11th). 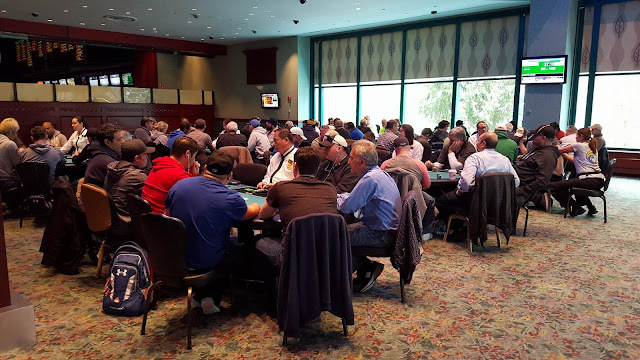 As a reminder, this tournament comes with a $100,000 guarantee, 20,000 in chips, and players are allowed to enter and re-enter until the start of level 9. The first 12 levels will be 30 minutes in length, and levels 13+ will be 40 minutes in length. The top two spots will receive a $5,000 package to the PPC Aruba World Championship in addition to their share of the prize pool. Packages are transferable. For more information on the PPC, please see their website at www.ppcpokertour.com. A full Event #8 structure/information sheet is available here. Players will have through this break to enter/re-enter. After the start of level 9, registration will be closed and those wishing to play can do so in Flight B, tonight at 5pm. Action folds around to Zach Deneen on the button who raises to 1,100. The small blind folds, and the big blind shoves all in for 5,250. Deneen thinks for a moment and then hesitantly throws in the chips to call. "That's a bad flop for me," the player in the big blind says after the dealer lays out the [js][jd][4h] flop. Unfortunately for his opponent, the [kh] turn and [ah] river do not improve his hand, and Deneen will scoop the pot, and eliminate his opponent. 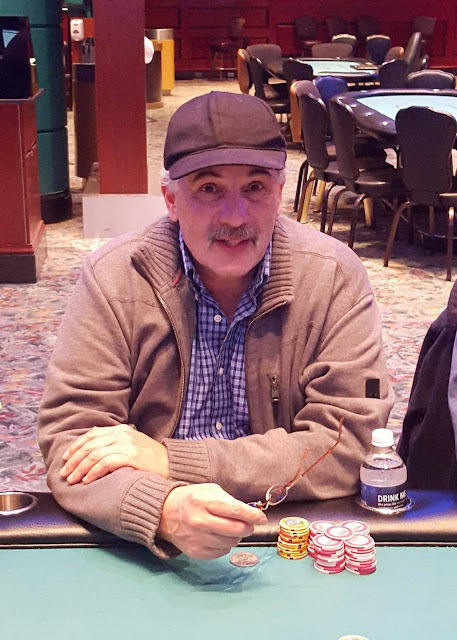 Esteemed photographer and poker live reporter Drew Amato has just taken his seat in the field for flight A of the $400 NLH Multi-Entry PPC event. 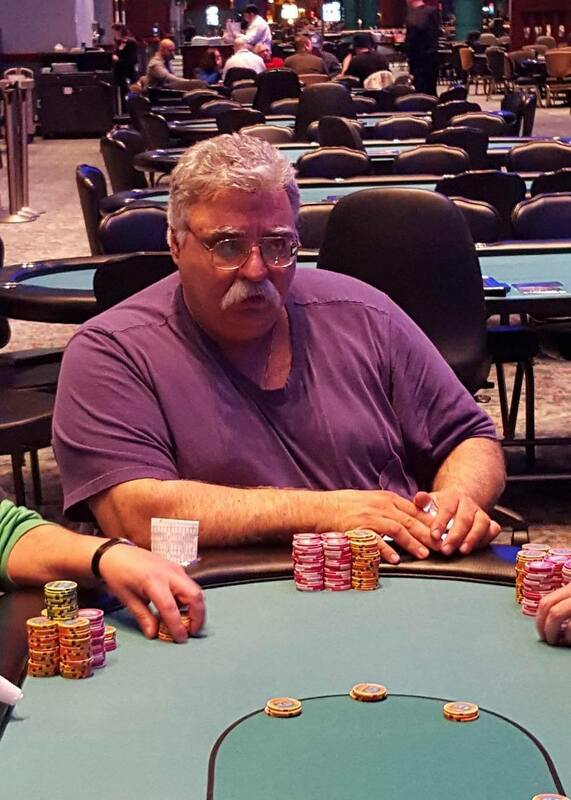 In addition, Foxwoods locals Nick McDonald, and Ralph Macri have also joined the field. As a reminder, we are live streaming a feature table on foxwoodslive.com. Those not making it through to Day 2 in this first flight will have the opportunity to play again tonight at 5pm in Flight B. This event boasts a $100,000 guarantee. Those players making it through to Day 2 will return tomorrow, Thurs. Feb. 11th at noon Eastern Time. A full structure/information sheet can be found here. Soukha Kachittavong shoves all in from middle position. Action folds to Je Wook Oh in the small blind who asks for a count. Upon hearing the 4,200 total, Oh calls, and the big blind folds. The board runs out [ks][9c][4h][ad][js], awarding Kachittavong a full double. 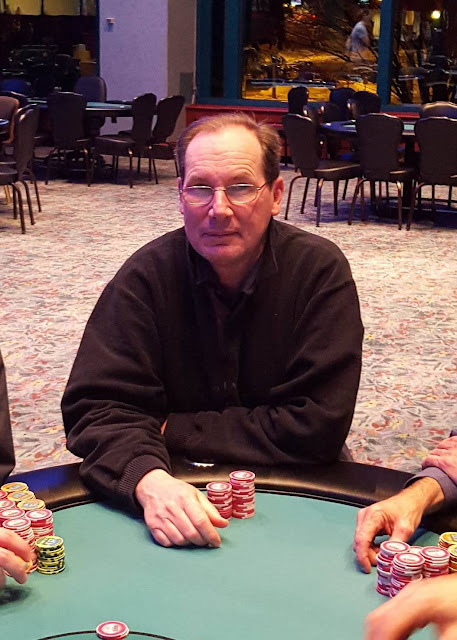 The following players have taken their seats in Flight A of the $400 Multi-Entry NLH PPC Event here at Foxwoods. and special guest/player Chris "Fox" Wallace. 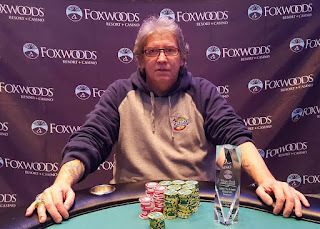 Wallace is a World Series of Poker $10,000 HORSE bracelet winner, a PPC Tour Pro, and a Blue Shark Optics representative. 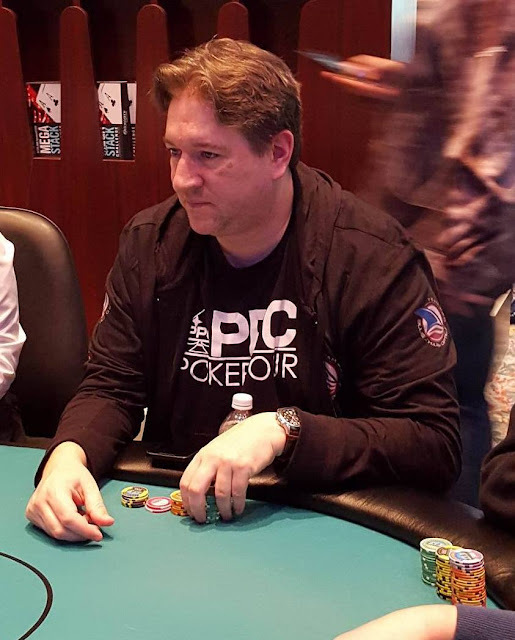 In addition, he also runs the foxpoker.com website. 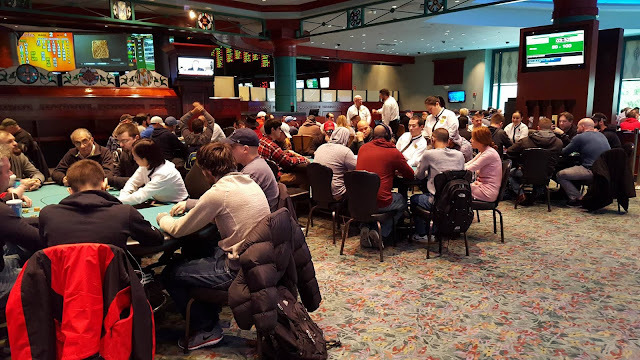 The $400 No Limit Hold Em (Sponsored by PPC - Players Poker Championship) is now under way. This tournament comes with a $100,000 guarantee, 20,000 in chips, and players are allowed to enter and re-enter until the start of level 9. The first 12 levels will be 30 minutes in length, and levels 13+ will be 40 minutes in length. Top two spots will receive a $5,000 package to the PPC Aruba World Championship in addition to their share of the prize pool. Packages are transferable. For more information on the PPC, please see their website at www.ppcpokertour.com. **Top two spots will receive a $5,000 package to the PPC Aruba World Championship in addition to their share of the prize pool. Packages are transferable. After an even three way chop, Norris Pender will take the trophy.